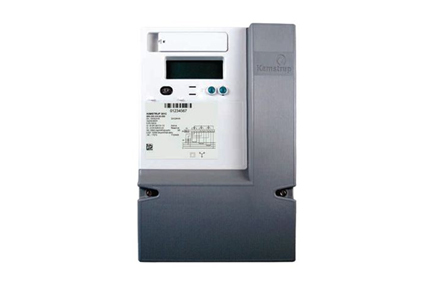 The Kamstrup 351-C is a 3-phased current transformer electricity meter for registration of electric energy. The meter is full electronic without movable parts. Thus, energy registration is not affected by shock or impact during transport and mounting. Furthermore, measurements are correct, no matter the physical mounting direction. Energy is determined by simultaneously measuring voltage and current. The current is measured via current transformers.